Wine barrels are the big, round containers used in fermenting and aging wine. Vineyards place the wines here to enhance the flavor of the grapes before the wine is bottled, labeled, and shipped to distributors. They are usually reused over a number of years until they can no longer hold wine. 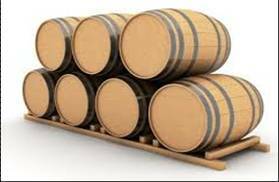 Since these barrels are made of fine wood that is resistant to mold and mildew, they are recycled to be used again in another form. Recycling the oak wine barrels can be good for the environment as fewer trees will be cut. The used oak wine barrels also add character to the new creation. They also emit the aromatic smell of wine imprinted on the insides of the staves. The ends of the barrel can be used as artwork displayed in Houston custom wine cellars or anywhere on the walls of the home. A design or insignia can be painted on the end of a barrel and can be a conversation piece. Any design can be painted on it depending on the owner’s preference. The staves of the barrel can also be used for different purposes. Some artisans have transformed the staves into a seat/bench, candle holder, serving trays/plates, swing, countertops, and wine racks to name a few. If you are the type of collector who wants to have unique but environment friendly accessories for your wine cellar, used oak barrels can be your ideal wood. Not only are oak barrels durable and mold resistant, they can also be transformed into many things. 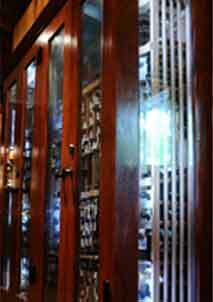 Some wine collectors will want their favorite wines to be showcased apart from the other bottles. Wine racks made from oak barrels are a special spot. 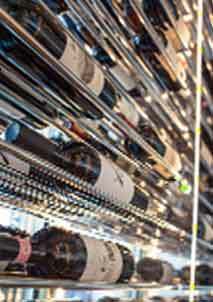 Wine barrel wine racks are a creative way to house hundreds of wine bottles in Houston custom wine rooms. The craftsmanship of the builder is a big factor to achieving this. 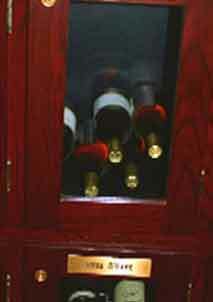 One must be creative in transforming the staves into wine racks to protect the bottles and the labels. A color finish can be painted on the staves depending on the owner’s preference, or it can be left as is for a more authentic feel. The staves are where the stamped name of the winery can still be seen. 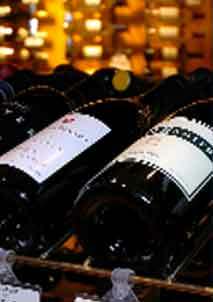 Many collectors who use oak barrels leave the stamps and make it a part of the wine rack design. Some prefer not to use any finish to retain the natural scent of the wine which emanates from the oak barrel staves. The longer the oak barrels were used for aging wine, the stronger the scent of the wine aged in it. 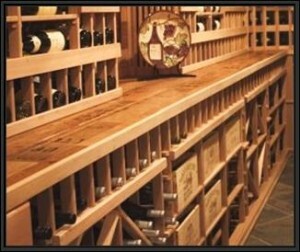 Building a custom wine cellar together with the wine racks and other accessories need not be expensive as one can make use of recycled oak wine barrels. These are durable, easily transformed into many things, and affordable. Unnecessary expense can be eliminated or minimized. 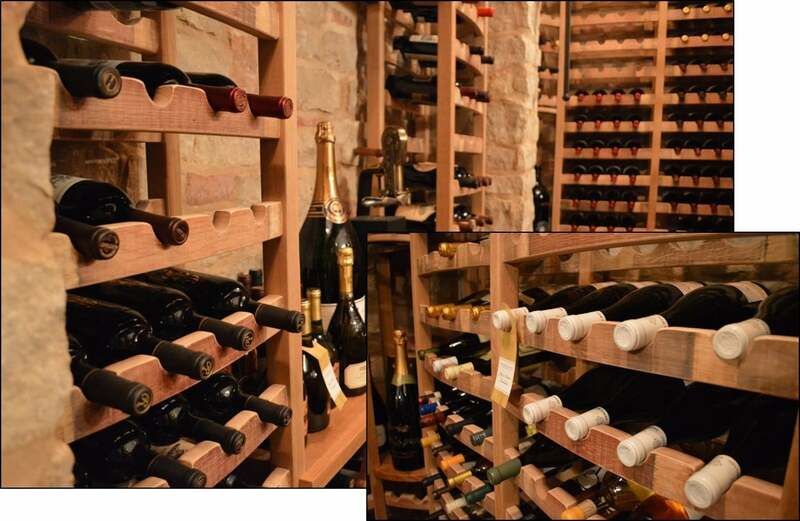 If you’re planning to build your wine cellar and want quality reclaimed wine barrel racking, Wine Cellar Specialists Houston is the trusted name. Contact them now at 866-646-7089. 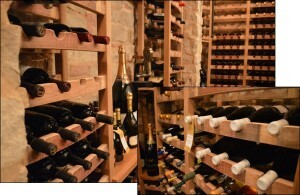 Check out the wine barrel wine racks they’ve constructed at http://www.winecellarspec.com/reclaimed-wine-barrel-racking/.